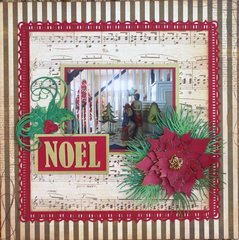 Create merry and trendy holiday projects you'll be proud of with the Layered Tattered Poinsettia Bigz Die with Texture Fades from the Alterations Collection by Tim Holtz for Sizzix. 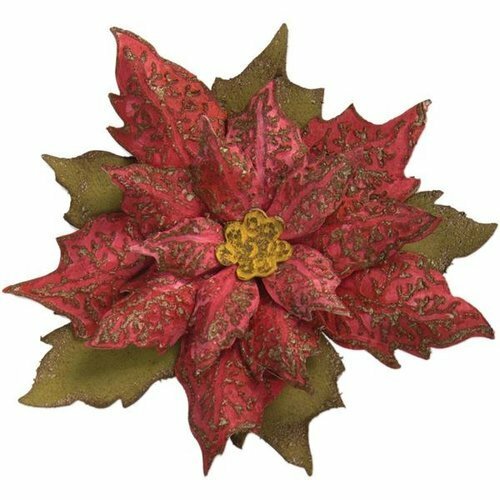 You will love this beautiful poinsettia with leaves and textured centered. This Bigz die features steel-rule construction and easily cuts through leather, metallic foil, foam, paper, sandpaper in limited use, cardstock magnet and more. The die is compatible only with the BIGkick, Big Shot and Vagabond machines and requires the use of a pair of Cutting Pads, all are sold separately. The package includes one Bigz Die that measures 5.5" x 6" and one texture fade that measures 4.5" x 5.75". The design measurements are 3.75" x 3.625" to .5" x .5". 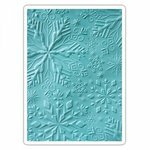 Back "in the day," I bought these two separate, the poinsettia die and then a couple of years later, the embossing folder. 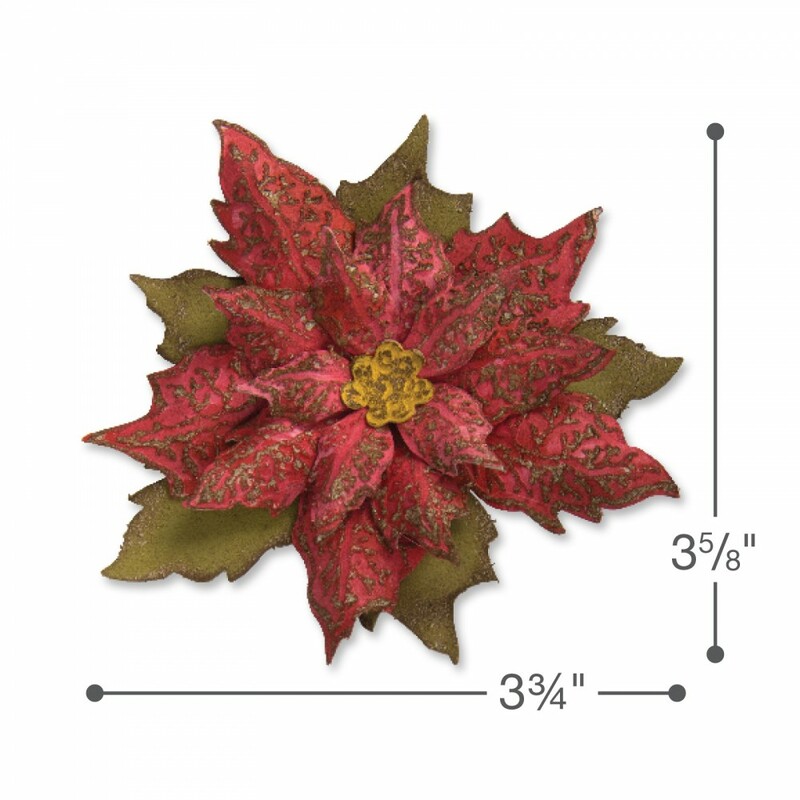 The poinsettia is beautiful on it's own but together they make an absolutely stunning piece. 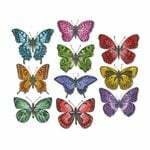 Add a coat or two of clear embossing powder, attach a hanger and you'll have a beautiful ornament to gift to a friend or colleague. 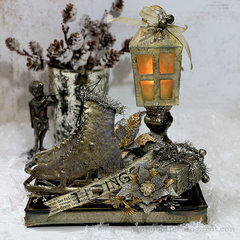 Create a box topper, accent with ribbon and tinsel - you'll have a beautiful dressed up box for a family member's gift. 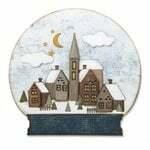 Use it as a focal piece and create a wintry canvas home decor item. ETC. 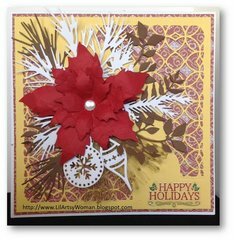 Once you get it, you will find many uses and create poinsettias of different colors. 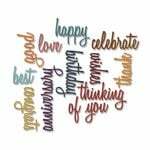 You can always add it to the front of a card! I use heavy weight paper, the die has no trouble cutting it and it creates a very sturdy piece. I love love love it! 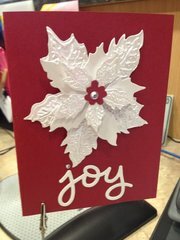 If you like poinsettias, I am willing to bet that you will love this die and the included Texture Fade too! Cuts like a dream, makes beautiful poinsettias. I'm using it for cards and I love it. I'll post some examples soon. BTW, Scrapbook.com's shipping is fast, fast, fast! 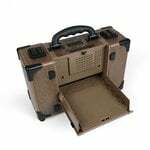 I love ordering from this site because I know my stuff will be at my house in just a few days. I love, love, love this die. It is big and substantial and just what I need for tags and cards. 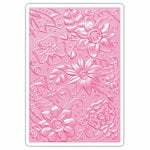 The Texture Fade gives the flower more depth and pop on the design. Absolutely love me die embossing folder combo. 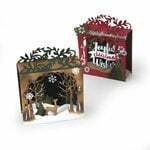 I am presently working on my Christmas cards using the set. What a great combination. 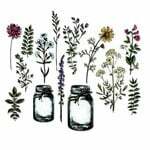 I have always been pleased with scrapbook.com and always receive my orders in no time at all. I love the texture that adds so much to the poinsettias! I have a different brand of cutting machine, I�m wondering if I can use this die on my machine? By: User (27-Feb-18) Helpful Question? Yes | No Thank you! Report Inappropriate This question has been reported. Thank you! It worked with my Big Shot. By: Alice4h (02-Mar-18) Helpful Answer? Yes | No Thank you! Report Inappropriate This Answer has been reported. Thank you! 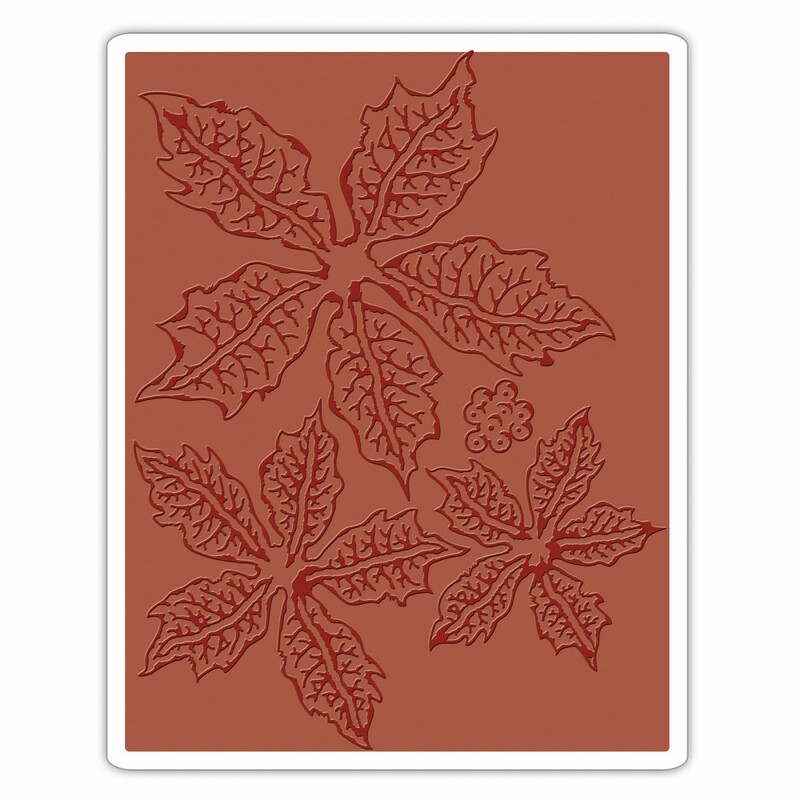 I�m looking at the Layered Tattered Poinsettia die set. Does this include the stamps? If not, are stamps available. When I look at the bottom of the product description it seems to be stamps, not dies. By: Nans13850 (29-Jan-18) Helpful Question? Yes | No Thank you! Report Inappropriate This question has been reported. Thank you! It doesn't come with stamps. 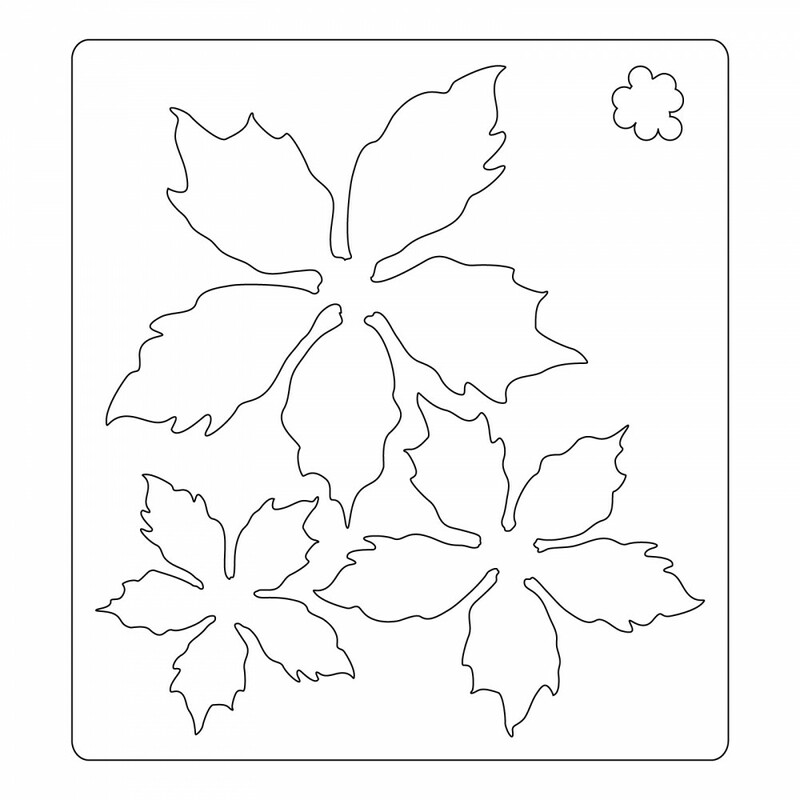 It comes with an embossing folder to add texture to the leaves. By: bishsticks (01-Feb-18) Helpful Answer? Yes | No Thank you! Report Inappropriate This Answer has been reported. Thank you!